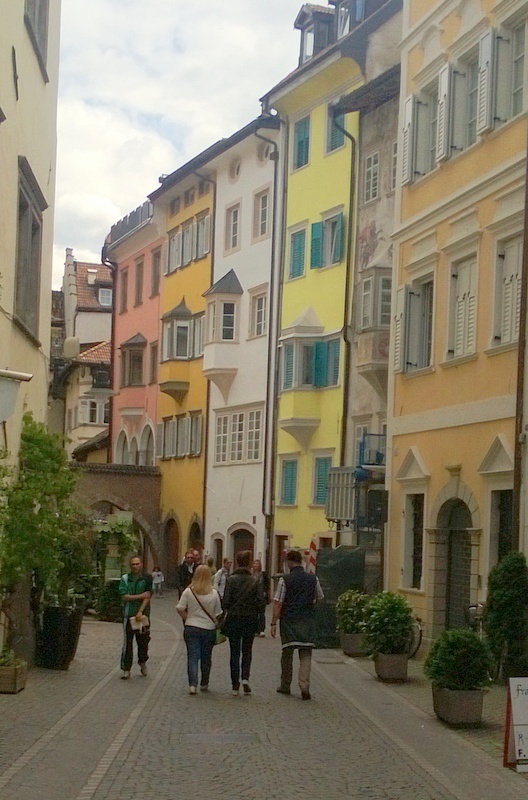 I have just spent four divine days in South Tyrol and didn't come across a single Brit. There were tourists, of course, but of other varieties - mainly from neighbouring Austria, Switzerland and Germany. Even Americans. So, are we Brits missing out? I certainly think so. South Tyrol, or Alto Adige, to give it its Italian name, is Italy's northern-most province and, from what I remember of my GSCE History, one that was handed over to Italy after the First World War, confiscated off Austria for bad behaviour. Today it is a pleasing, if a little disorientating, blend of the two cultures and languages, with German the predominant language and a more Latin sensitivity enlivening the scene. Bolzano is the northern most city in Italy and capital of the South Tyrol region. Nestled in a valley ringed by the Dolomites, it is both the hottest and the coldest city in Italy. A few days in this beautiful area is as good an antidote to brain-frying, eye-straining, teeth-clenching urban living as you will get. Especially, if you can't cut the strings of city life completely and need to be within pouring distance of a Negroni at all times. 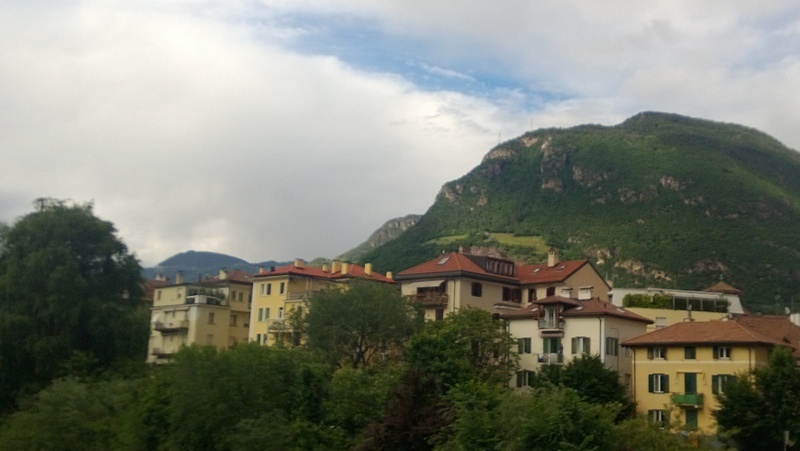 Bolzano is a bustling, cultured town nestled in a valley and crowned by rolling hills of vines and apple orchards. 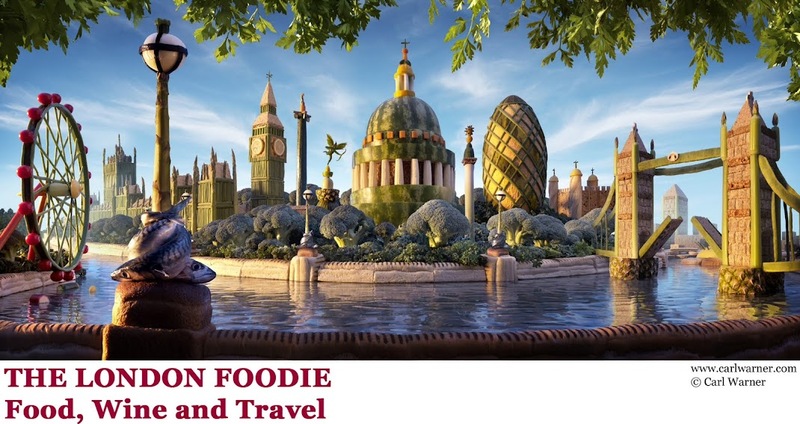 There are great restaurants, mediaeval, cobbled streets and several museums to explore in the town centre itself. 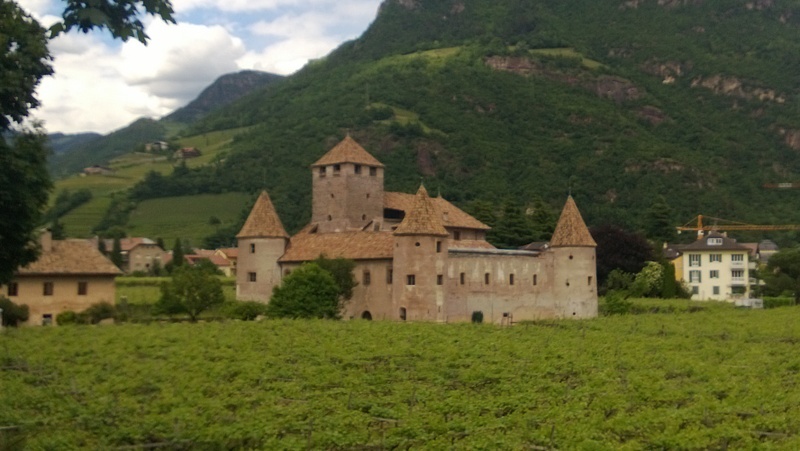 There are said to be over 800 castles in the South Tyrol region (not that I was counting) and a few of them are right in town - like this one, which is a ten minute walk from Bolzano's main square and is surrounded by vineyards. Waltherplatz, the central square is ringed by restaurants and outdoor terraces which are perfect for an afternoon Aperol Spritz and some people-watching. 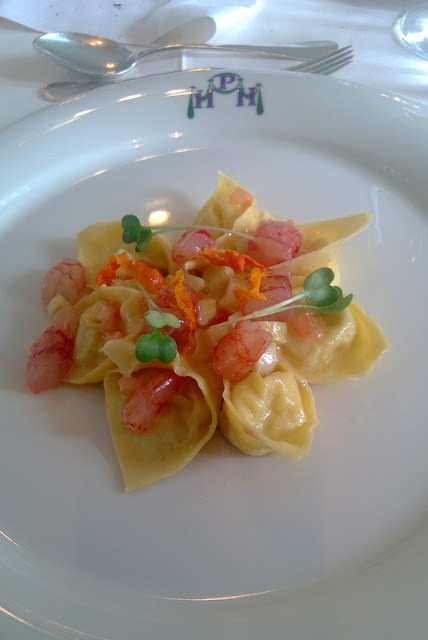 South Tyrol is the Italian province with the most Michelin stars - a total of 17. Not bad for a region with a population of just over half a million - although that does swell at the weekends when the Milanese drive up and the Swiss and Germans drive down for languid lakeside lunches and scenic bike rides through the vineyards. 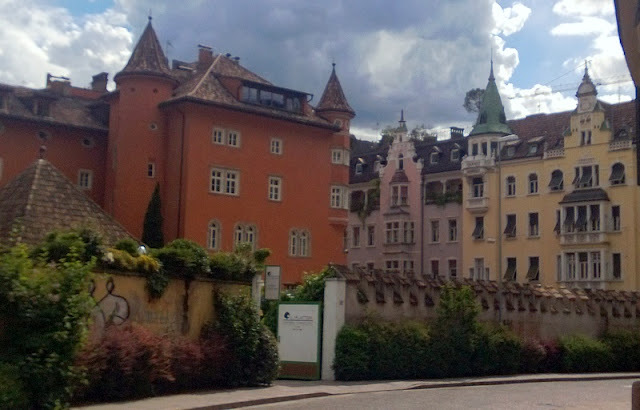 You could spend your days ambling gently through cobbled streets, soaking up the sun by the beautiful Caldaro lake or even taking the steep, 20 minute cable car ride up to Ritten (Renon in Italian) a nearby hill station, made famous and fashionable by Austria's Empress Sissi in the mid 19th century. Here, fabulous summer homes cling to the emerald hills clad in wines and apple trees. The Park Hotel Holzner has views of splendour and food to match in a rambling classic Alpine country house. 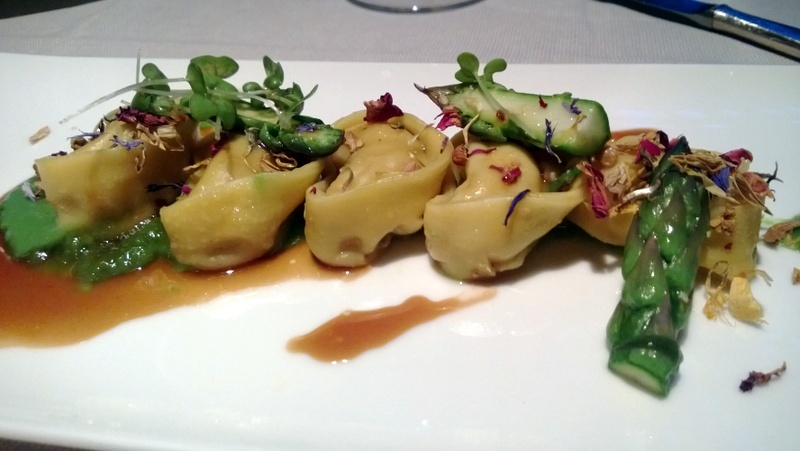 The dumplings and ravioli stuffed with in-season White Asparagus and prawns are light and delicate. 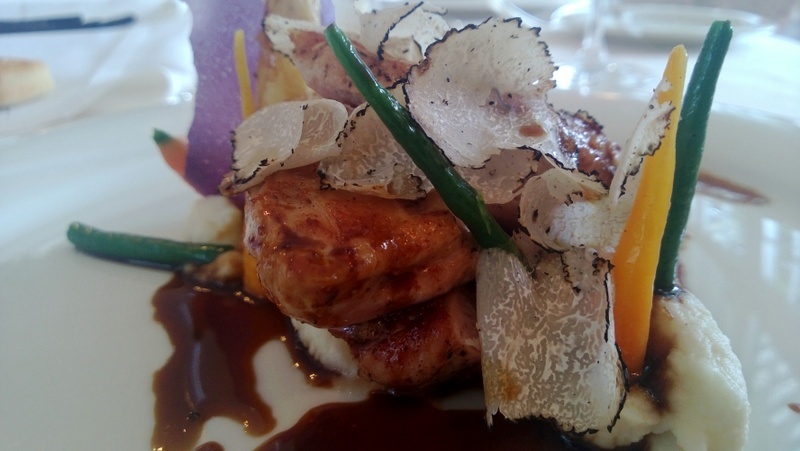 I also enjoyed roast chicken with summer truffles and lavender. 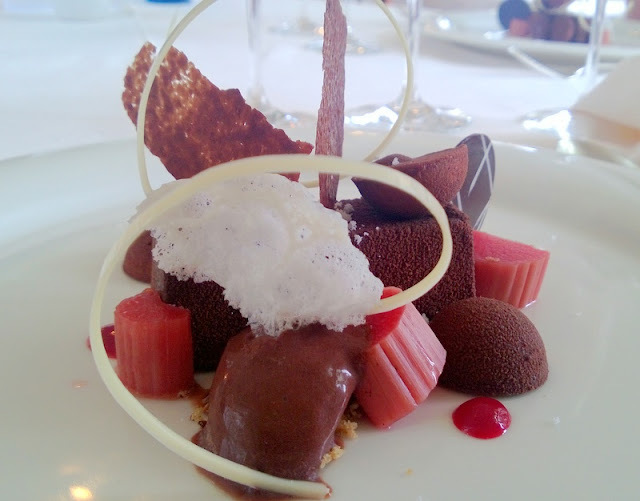 And the most beautiful construction involving rhubarb and chocolate I have ever seen. Tasted amazing, too. 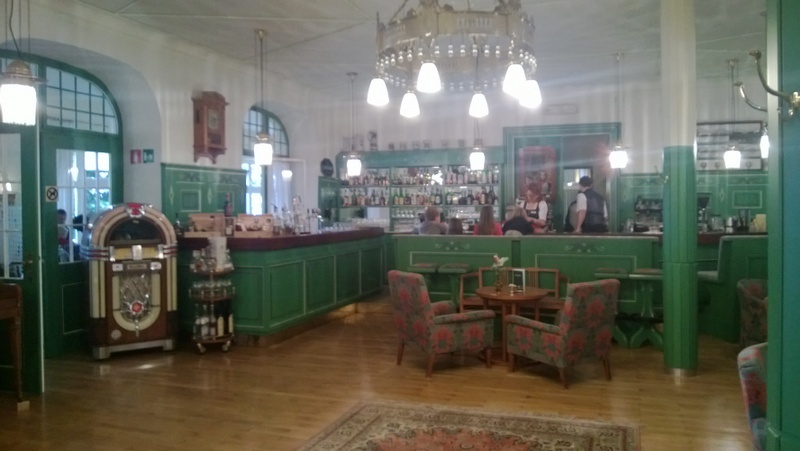 Back down in the valley in Bolzano, the Park Hotel Laurin has all the charm of a fin-de-siecle grand dame that has seen plenty of opulence, extravagance and even scandal but won't be telling. 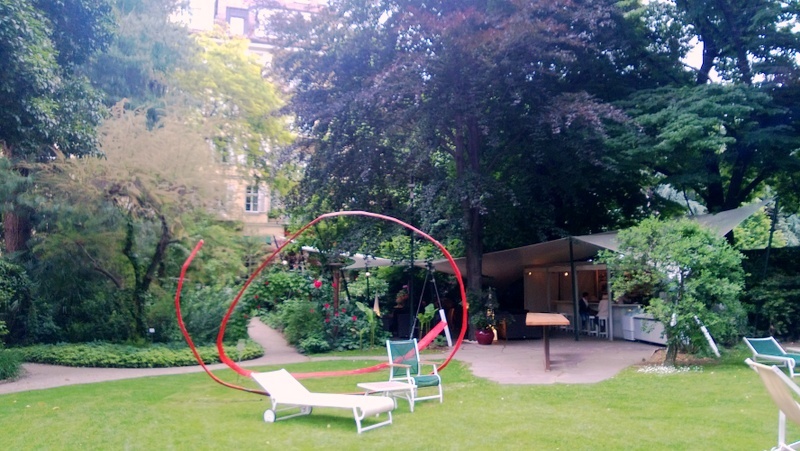 The gardens are lush and hold plenty of hideaways furnished with lounges and hammocks to bliss out for an hour or two. In the evening the buzzy poolside bar gets lively, as does the beautiful, high-ceilinged main bar, lined with frescoes and manned by beautiful staff. The restaurant is all about fine dining, whether it is lunch on the terrace or a long dinner in the elegant dining room. 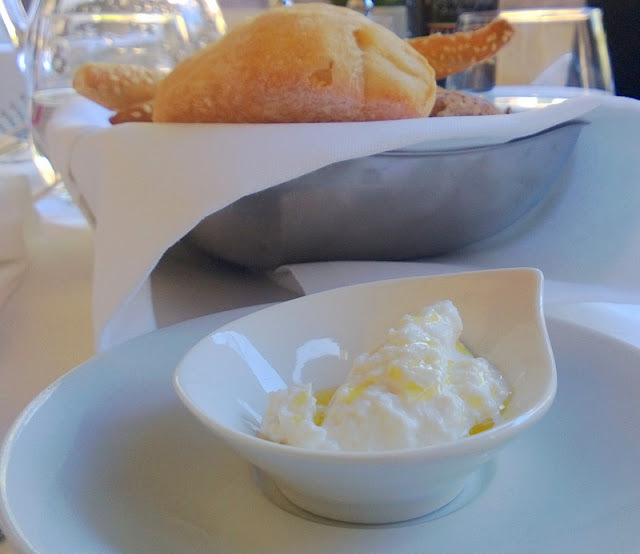 I had the silky, creamy inside of mozzarella - here even chewing on the skin is too much like hard work. 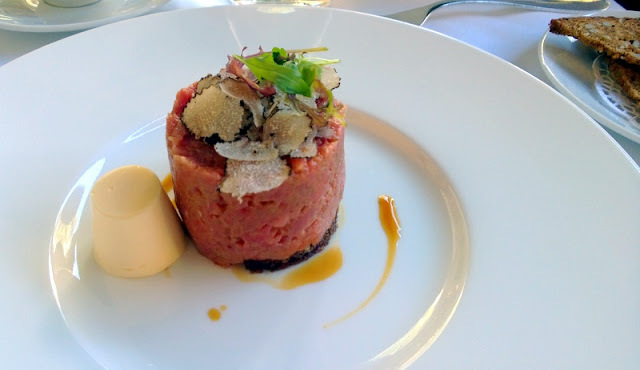 Beef Tartare comes topped with summer truffles and with a hillock of smoked butter to smother over the warm, caraway-flecked bread. The following day provided a chance to explore the region's wineries. While only accounting for about 0.5% of Italy's wine output, the wines of South Tyrol punch way above their weight in terms of quality and awards. Vines have been found here from pre-Roman times and Pliny the Elder even wrote of his surprise at finding a long history of winemaking in the area. In later times, many monasteries in the region were highly regarded winemakers and, more recently, Archduke Johann of Austria brought modern viticulture techniques to the region in the mid 1800s and introduced the classic varieties of Sauvignon Blanc, Pinot Noir and Pinot Blanc; today some of the most widely cultivated grapes here. Winemaking in this region begins with cultivating and harvesting grapes on the steep slopes of the hills that give this area its distinctive character. Some of these slopes are near vertical and the only option, come harvest time, is hand picking. And, with some of the vines planted at altitudes as high as 3000 ft, this is no mean feat. 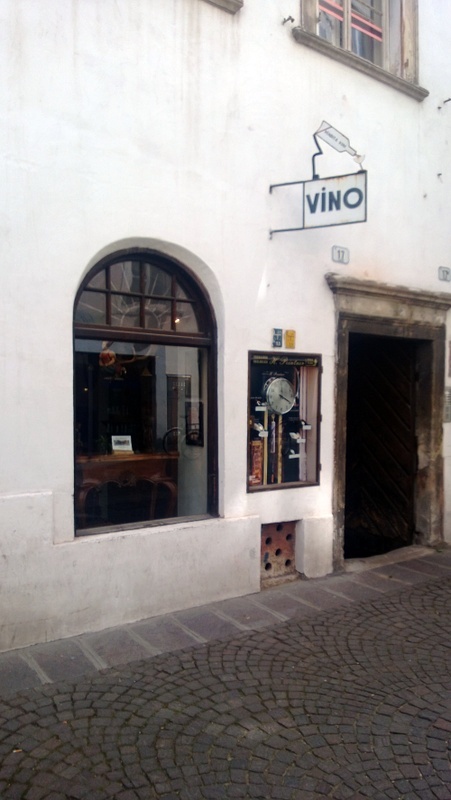 Rottensteiner is a small, family affair right in Bolzano, with vineyards stretching up into the hills from the suburban street. Run by a young couple with great plans, production is about 450,000 bottles a year of both whites and reds. Here, reds are given pride of place, unusual in a region where much of the cultivation is of white wine. Hannes Rottensteiner is committed to crafting great wines from local red grape varieties. Lagrein and St Magdalener (also known as Schiava or Vernatsch) have long been cultivated in the region and sold primarily as wines for blending. The last 20 years has seen something of a renaissance for these hard-working local varieties and Rottensteiner is leading the way with his beautifully balanced, soft and light St Magdalener Premstallerhof and his deep purple Lagrein Grieser Riserva Select, all dark chocolate and cherry with rounded tannins and a smooth, long finish. And, best of all, you can enjoy them right here in rainy old London as The Winery in Maida Vale is lucky enough to nab a few cases. 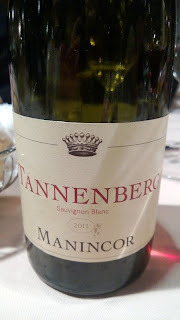 http://www.thewineryuk.com. Terlan is a large winery in comparison, with a sleek tasting room and vast cellars. 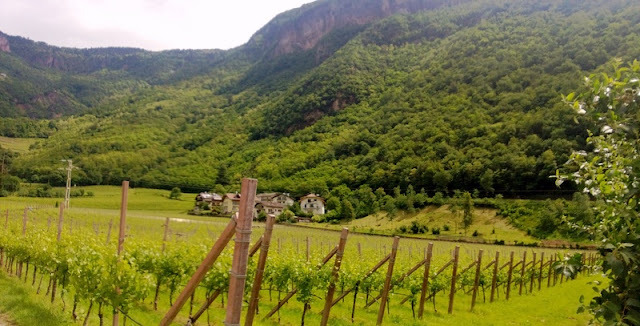 Making wine since 1893 in Terlano, a few miles from Bolzano in its own valley, this is a cooperative representing over 220 winegrowers, many of whom are hobby farmers. The difference here, I am told, is in the terroirs. 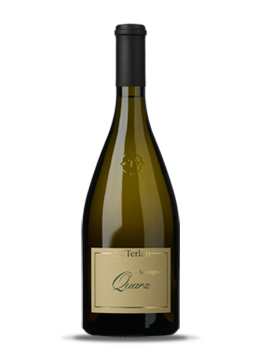 The soil in Terlano is a volcanic rock of quartz and red porphyry while the surrounding hills are typical Dolomite limestone. 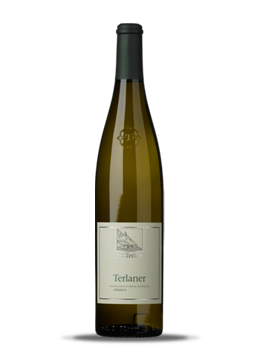 This gives Terlan’s white wines, which make up 70% of their wine, a flinty, mineral richness which needs only a little help from oak ageing. 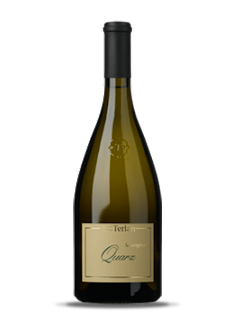 This was evident in their top flight Sauvignon Blanc – the Selection Quartz. A kilogram of grapes yields only one bottle of this voluminous, lingering wine from vines that grow up to 800 ft in the surrounding hills. The Weissburgunder Vorberg Riserva is 100% Pinot Blanc grown at gradients of up to 70% and hand harvested. A year spent in large oak barrels delivers a crisp and lively wine with a good balance of acidity and a little softness from the malolactic fermentation. 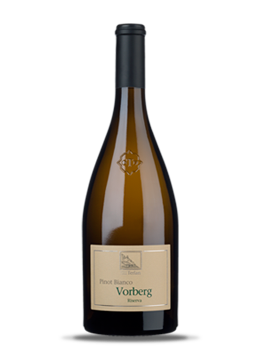 The Pinot Blanc grown here is more straw coloured than the classic pale wine that is more common in Europe. The Terlaner Classico is their best selling wine – a fresh, peachy blend of 60% Pinot Blanc with Chardonnay and Sauvignon Blanc making up the balance. And so, back to the food. South Tyrol is something of a gourmet's destination, not surprising given its Michelin stars. And, as it is asparagus season, every restaurant had the white spears of forced asparagus on the menu. White asparagus is bigger and more fibrous than the green asparagus we are used to here in the UK. A similar flavour, but more subtle and, to my mind, not as good. But, that didn't mean I passed up a single opportunity to eat it, whether stuffed in ravioli with speck and a garnish of green asparagus. Or steamed in stock and served simply with cooked ham. 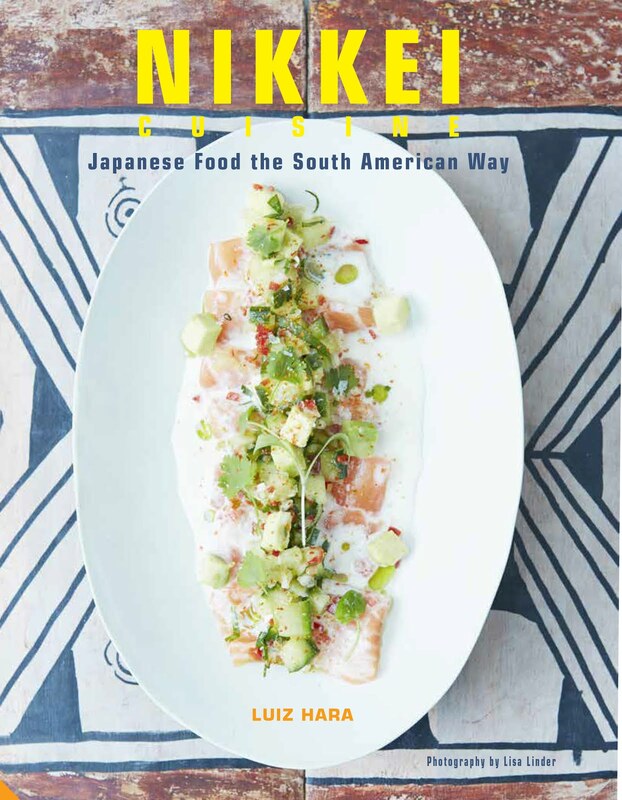 And now a word on speck. 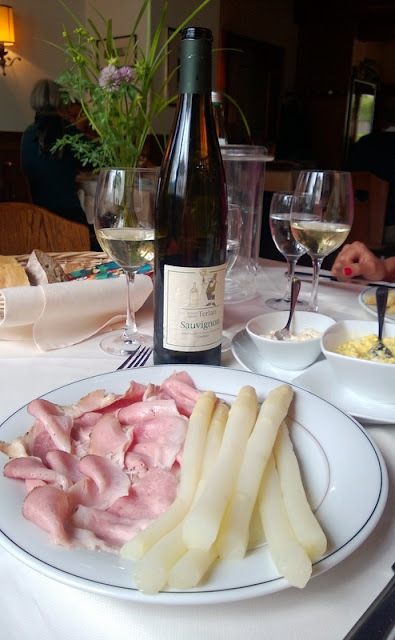 Speck is South Tyrol's answer to cured ham and it is known throughout Italy and beyond for its high quality, coming from happy pigs living on green hills with a natural diet and plenty of fresh, mountain air. It is not as salty as similar hams from Austria, for example, and has a softer texture. And you can go one better by getting hold of some Bauernspeck, a real local speciality with better marbling of the delicately flavoured fat giving it a sweeter, richer flavour. 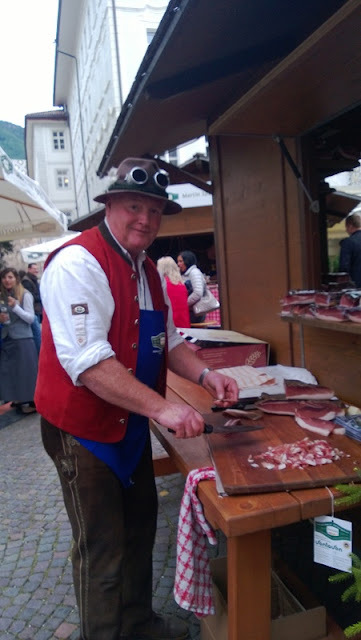 I tried all manner of speck at the South Tyrol Gourmet Festival, held in the centre of Bolzano over the last weekend. Bustling with people speaking both German and Italian and chock full of opportunities to sample local specialities from breads to single varietal grappa, this is a great opportunity to try some of the best produce from artisan makers and large producers alike. 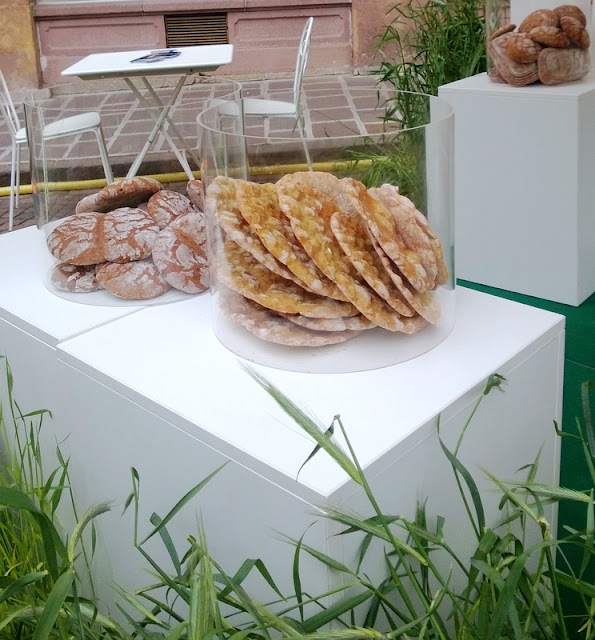 http://www.gourmetfestival.it/en/home.html. 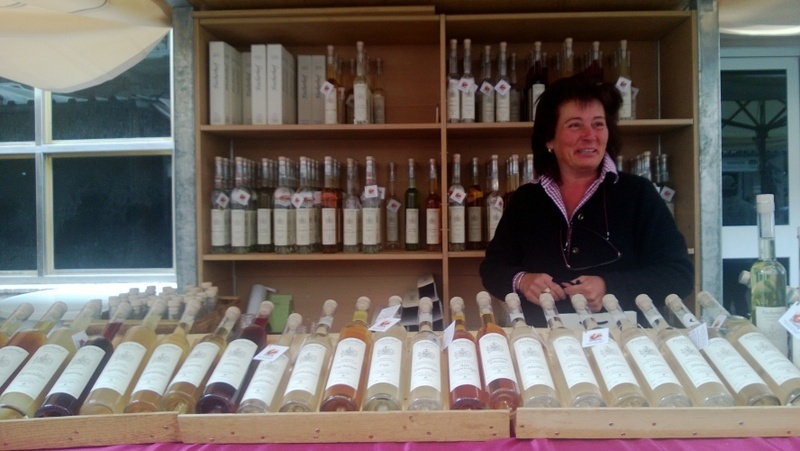 Try the Gewutztraminer Grappa from a small distiller committed to producing the finest grappas, a spirit that originates not far from South Tyrol. Other delights included Sauerkraut soup, served in a bread bowl and far more delicious than a photo could ever express, and some great breads, including the local Schuttelbrot, a crisp rye sourdough flatbread flecked with fennel and caraway seeds. South Tyrolean food is an amalgam of cultures where tortelloni and knodel feature in the same menu, winningly combining heady Mediterranean flavours with more robust Germanic cooking. A memorable meal at Gretl am See in Caldaro (Kaltern in German) http://www.gretlamsee.com was an eight course feast, three of which were enjoyed on the deck overlooking the magical lake, with excellent Caldaro wines, regarded throughout Italy as some of the country’s best. 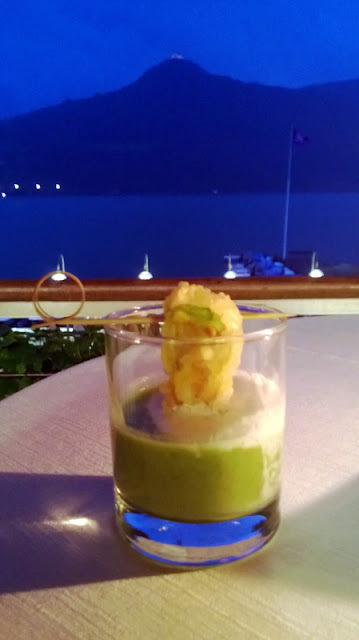 Almond and Courgette soup came with a fritter of courgette flower and a burrata foam. 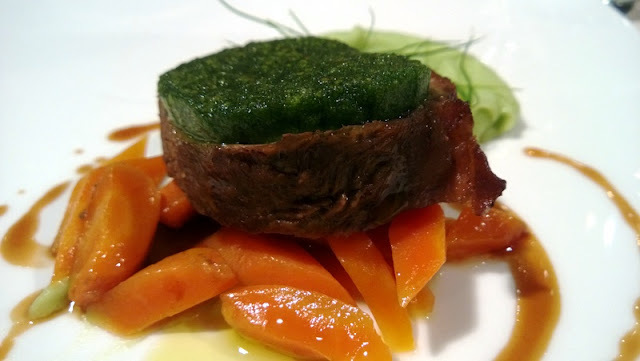 Calf’s Shoulder was slow cooked to meltingly soft and anointed with a herb crust. 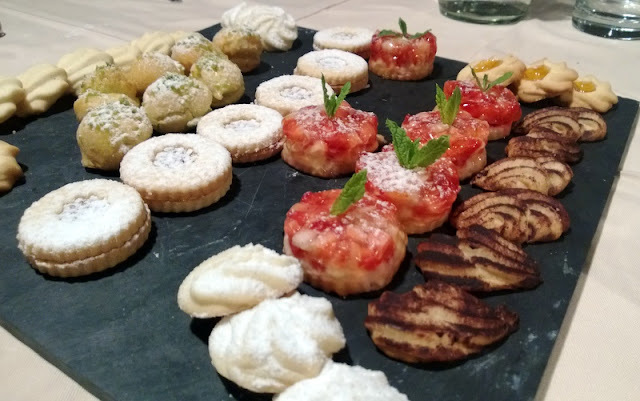 The petits fours tray (which arrived after we had already enjoyed two desserts) was laden with delicate biscuits and pastries. From the many wines served to match each course, a couple stood out from the descending fug of overindulgence. 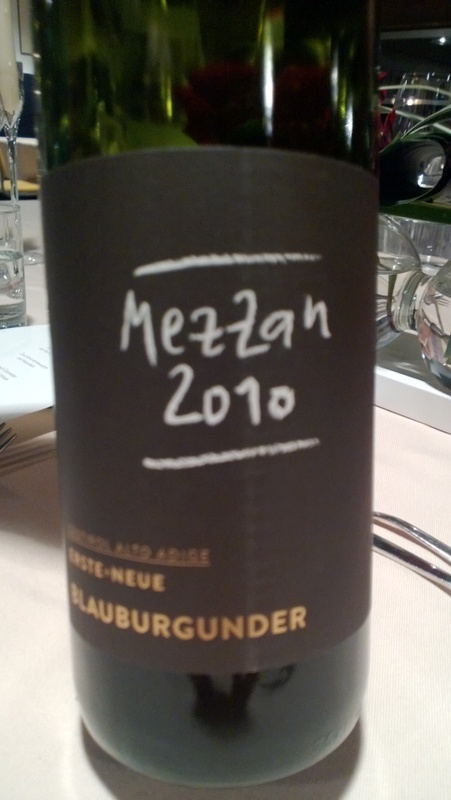 2010 Erste & Neue Kellerei Blauburgunder "Mezzan" is a ripe and rounded expression of the indigenous Blauburgunder grape from this winery which has been a stalwart of the Kaltern wine industry for over 100 years. Manincor has its winery right next door to the restaurant and its Tannenberg Sauvignon Blanc 2011 is mineral-rich yet soft, a result of time spent on lees. Available in London from www.goedhuis.com. But it’s not just wine flowing down the rolling dolomite hills of South Tyrol. The beer industry isn’t much to speak of, although some craft beers are slowly emerging. It’s the apples grown throughout this region that are gaining acclaim. Grown at a high altitude, the fruit is crisp and the temperature variations during the growing season result in a juicy, sweet fruit. Thomas Kohl is leading the way from his orchards high up in the hills surrounding Bolzano, with his single varietal, crafted apple juices. Kohl juices are created with much the same care and deference as any wine, with the fruit pressed on the day it is picked and pastuerised at low temperatures to retain as much as possible of its fresh flavour. Of the many varieties I tried the Kohl Rouge was both surprising and delicious. Made from red mountain apples whose flesh is also red (as are the tree’s leaves, bark and blossoms) it produces a tart, tangy and very refreshing juice that goes well with food. Kohl juices are not currently available in the UK so you will just have to make the trip to try them. 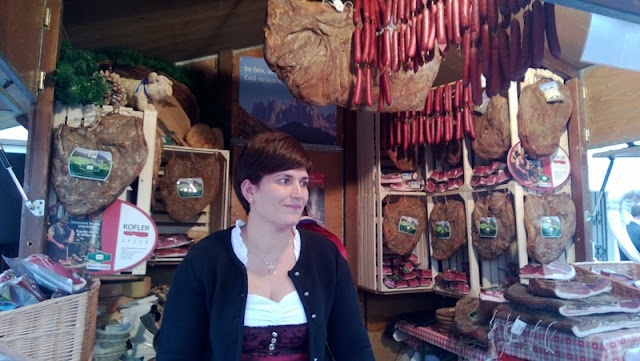 South Tyrol was both astonishingly beautiful and a real gastro treat. Whether you are hiking the many trails to a hearty meal at a bierstube or nursing a glass of classy Lagrein on a sunny square in the middle of town, there is much to beguile and detain you at every turn.